A campaign for literacy and community, One Book One New Orleans calls on New Orleans residents to share the experience of reading the same book at the same time, works to provide literacy resources to adults, and emphasizes the importance of dialogue between diverse groups of people. The organization’s selection for 2019 is Vengeance by Zachary Lazar. 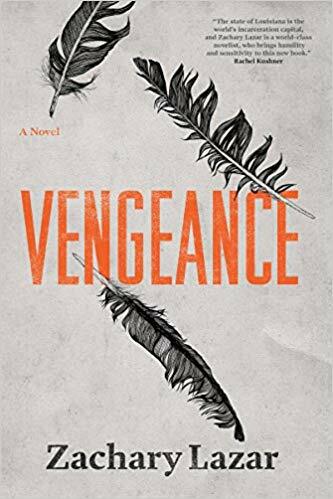 Vengeance chronicles the journey of a narrator who meets an incarcerated man, Kendrick, at Louisiana’s state penitentiary, Angola. As the narrator becomes increasingly determined to get to the bottom of Kendrick’s claim that he did not commit murder, the lines between seemingly clear-cut concepts such as guilt and innocence begin to blur. The book, a blend of fiction and nonfiction based on the murder of Zachary Lazar’s own father, encourages readers to see the humanity of people in prisons—a group that is often marginalized. Vengeance sparks conversations about the relationships between those of us walking free and those of us behind bars,suggesting that we are not as different as it would seem. The novel begins with the narrator’s visit to a real-life passion play, The Life of Jesus Christ, staged at Angola prison by inmates. Award-winning Louisiana-based photographer Deborah Luster will share her portrait series of inmate actors who have performed in this drama. Bobby Wallace played the role of Jesus in the play while incarcerated at the state penitentiary.